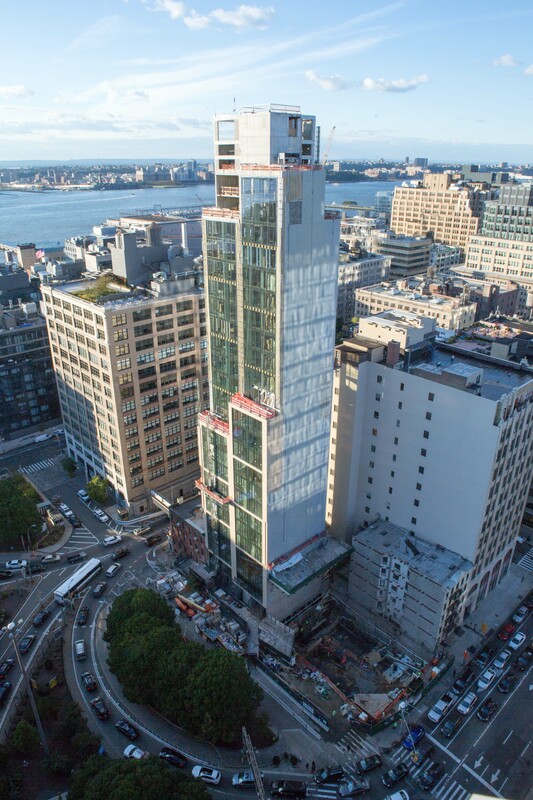 The tallest residential building actually in SoHo is approaching completion. 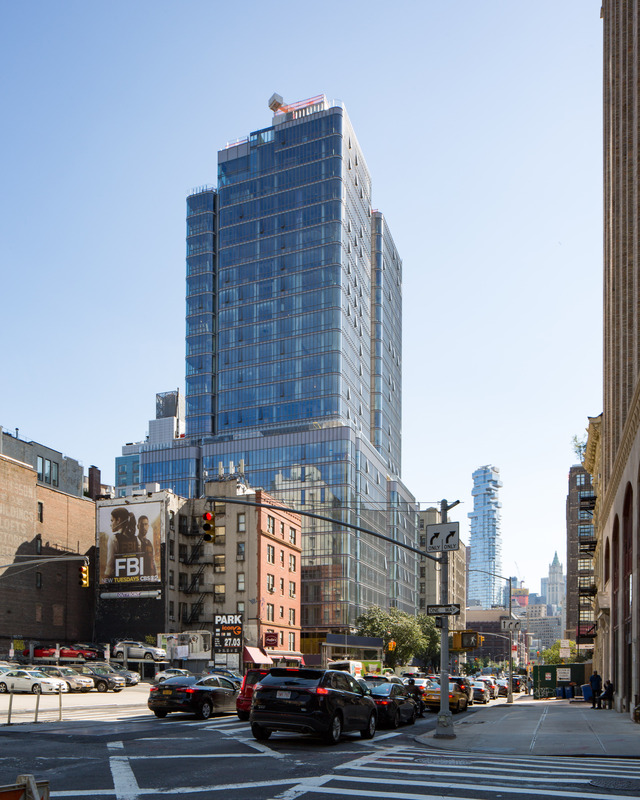 The two-towered structure at 565 Broome Street will add 115 condominiums to the neighborhood, making it a substantial addition for the market. 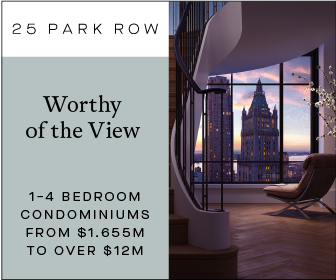 The North Penthouse recently sold for a whopping $40.5 million, while the $30 million Southern Penthouse is still on the market. 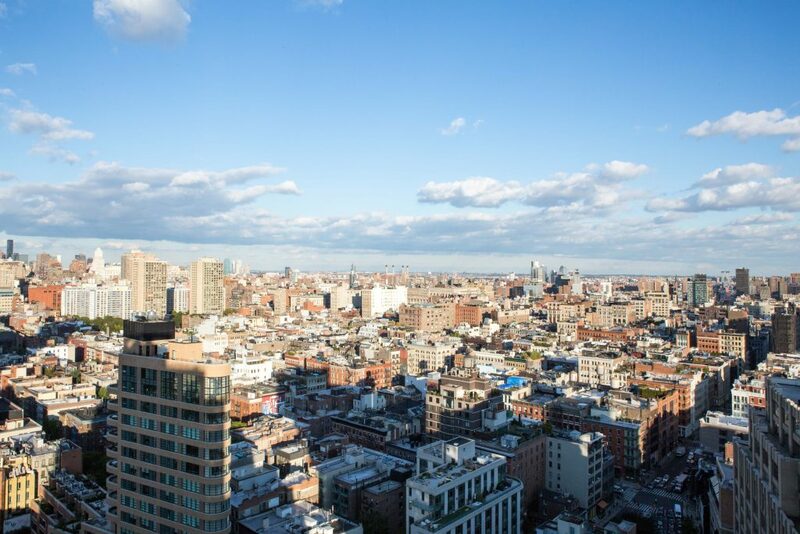 For this article, YIMBY toured that penthouse to see the near-360 degree views. 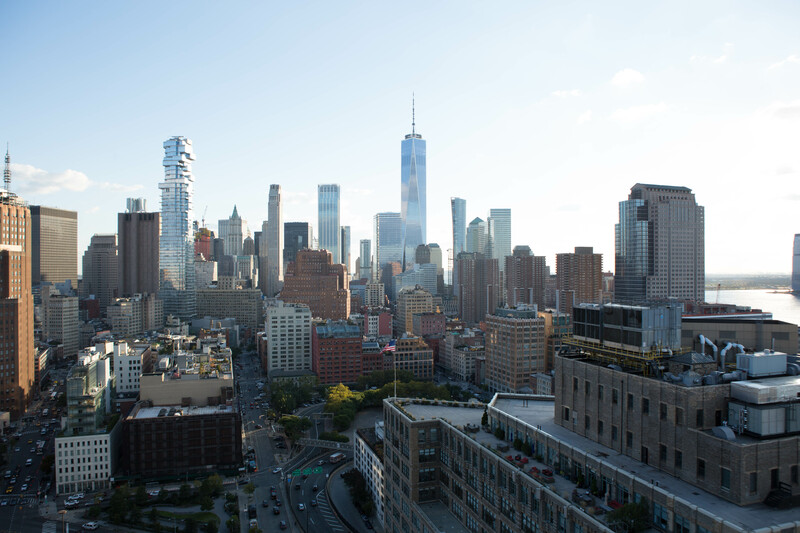 Bizzi & Partners Development, Aronov Development, and Halpern Real Estate Ventures are the developers. The 290-foot tall structure will yield 322,150 square feet, with 16,870 square feet for retail, and 17,000 square feet for amenities. 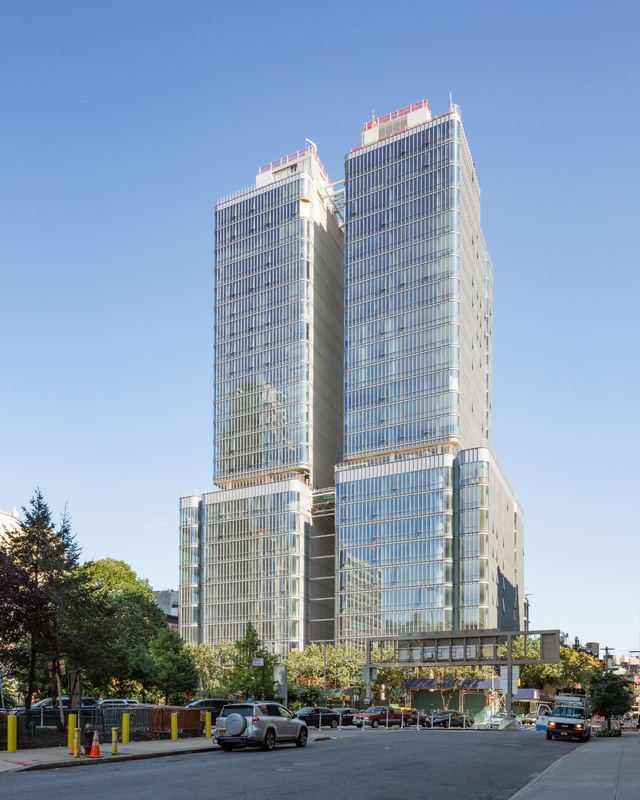 The building’s unit will average 2,100 square feet apiece, making them comfortably larger than normal condominiums. Paris-based Rena Dumas Architecture Intérieure is designing the interior spaces. 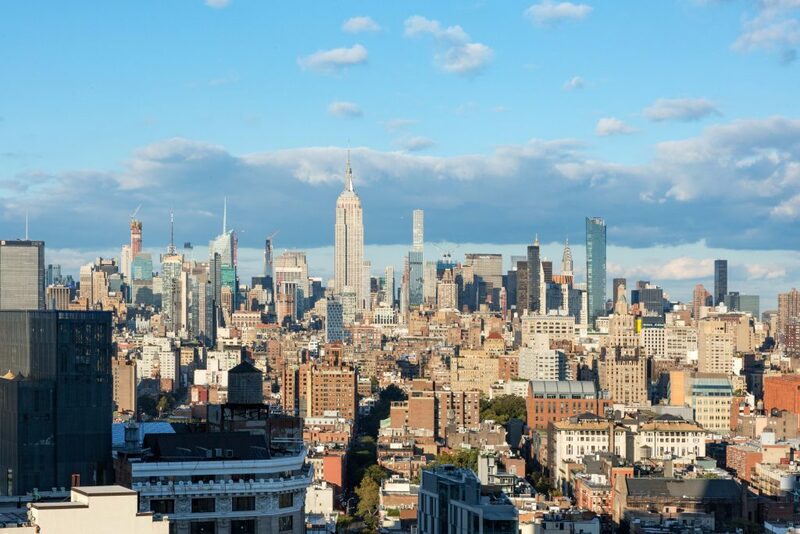 Units start for just under $1 million, with current listings ranging from $2 to $14 million, besides the remaining $30 million South Penthouse. 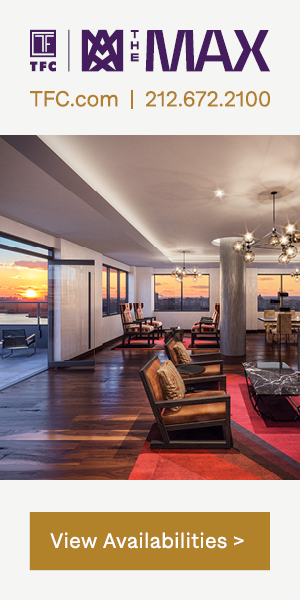 The Southern Penthouse has a 4,430 square foot duplex interior, surrounded by 3,440 square feet of exterior space. 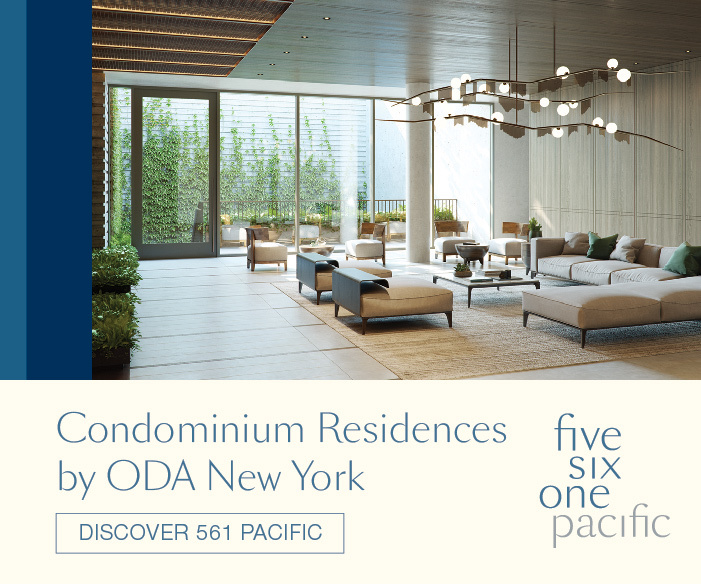 That includes one terrace facing Midtown, and a larger 2,500-square-foot private rooftop terrace facing the river. Inside, there will be four bedrooms, three and a half bathrooms, a private elevator, laundry room, and a 260-square-foot master bathroom. Looking east from the terrace, one gets a quintessential SoHo view. From these heights, the dense low-rise neighborhood appears like a landscape. While it is somewhat obscured, One Manhattan Square is indeed visible from the terrace. From the rooftop terrace, one gets the best view of the Financial District. 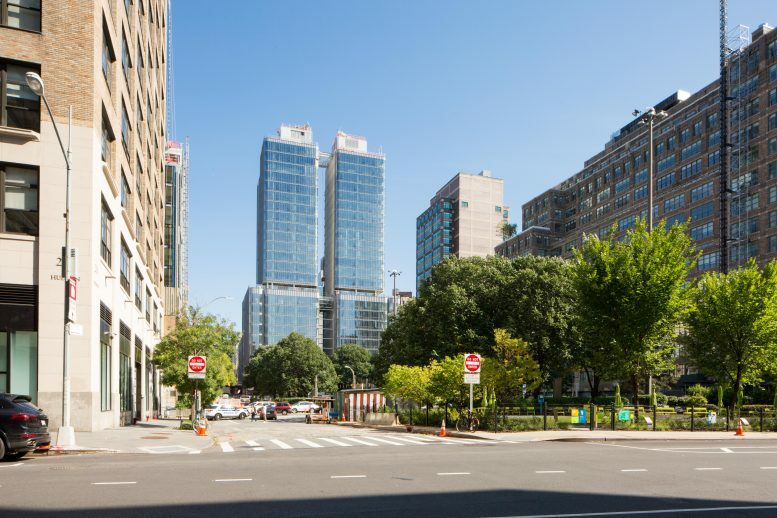 The only substantial building visibly rising in the neighborhood would be 25 Park Row, snuggled between 56 Leonard and the Woolworth Building, however 45 Park Place should also be visible within the next few months. 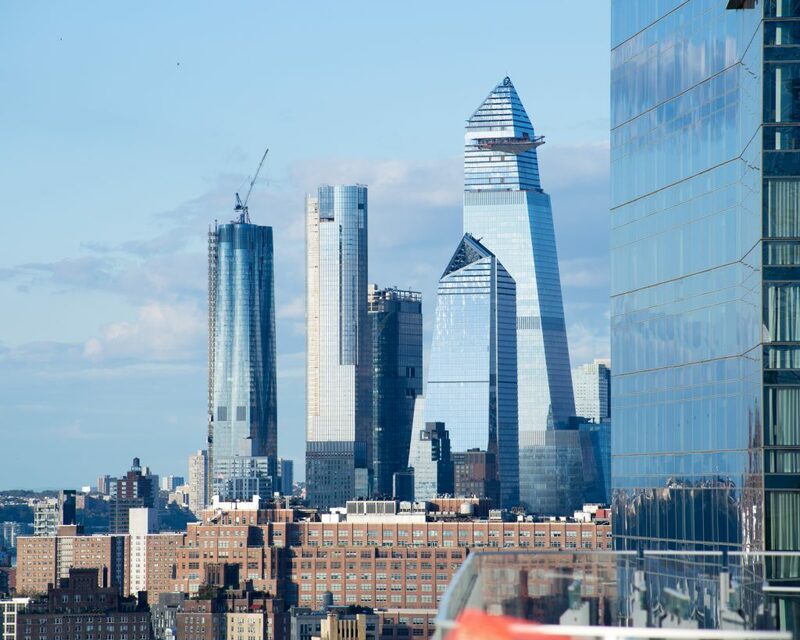 Hudson Yards looks quite good itself, with the four buildings under construction entirely wrapped by façade, and the curtain wall barrier for the observatory deck on 30 Hudson Yards under installation. The building will be opened to the public sometime next year. Right across the street, 570 Broome Street is still under construction. 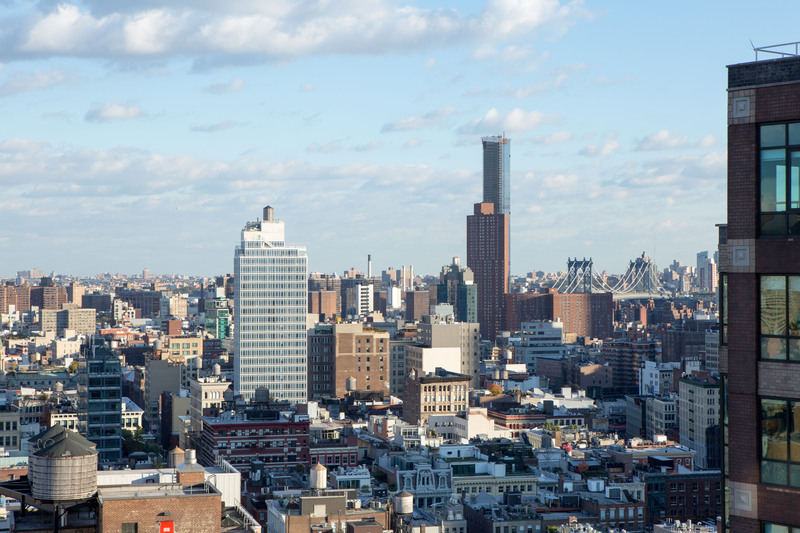 Looking all the way north, there is a dramatic view of the Midtown Skyline. The Empire State Building is incredibly prominent, though it’s clear that soon One Vanderbilt Avenue will be in competition for attention. 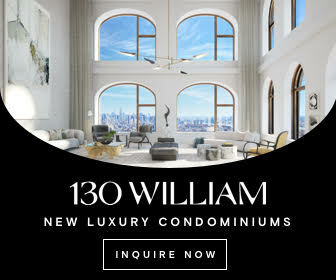 Central Park Tower and 111 West 57th Street are further in the distance, though the latter is partially obscured by the COOKFOX-designed Bank of America Tower. 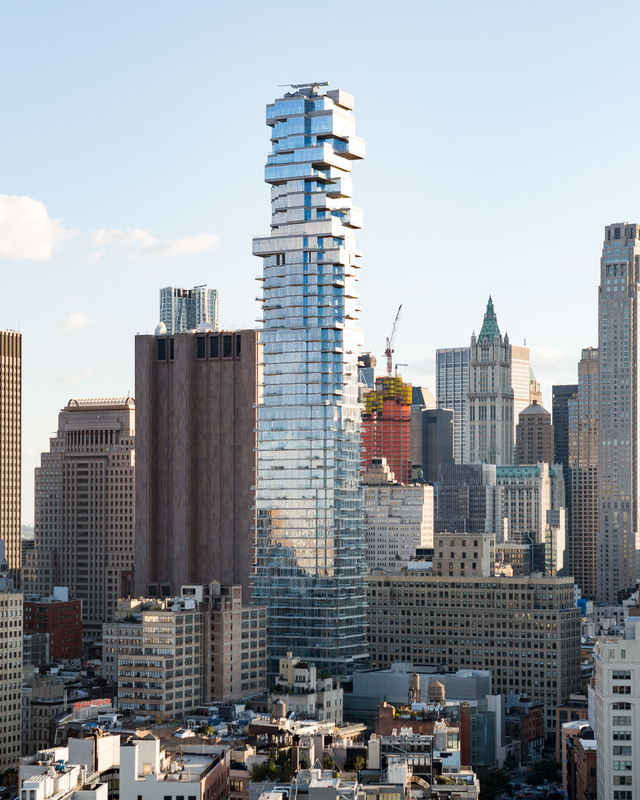 Renzo Piano Building Workshop is responsible for 565 Broome’s design. 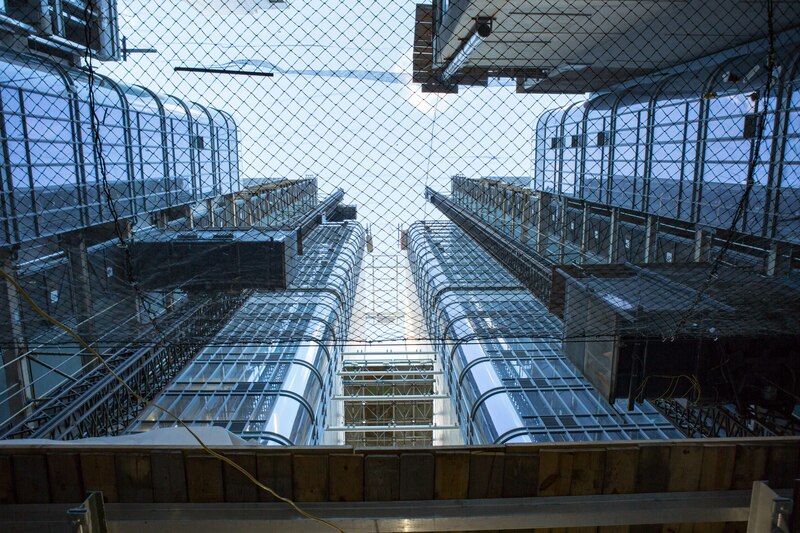 The firm is also responsible for the New York Times Building and the recently opened Whitney Museum of American Art. SLCE is the executive architect. 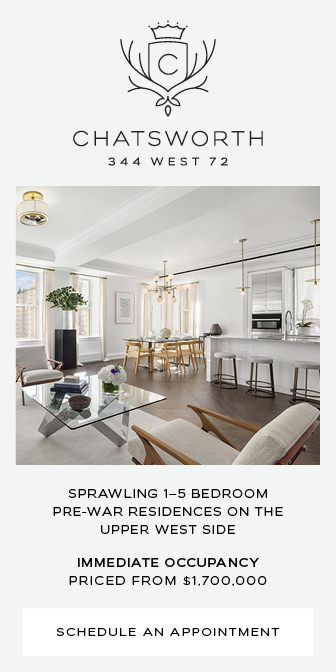 2 Comments on "YIMBY Visits the Southern Penthouse of 565 Broome Street As Completion Nears, SoHo"
Please pardon me for using your space: (Thanks to Andrew Nelson). Take two-towered up legally, by construction. This is most definitely NOT SoHo. This building is in Hudson Square. SoHo ends at 6th Ave.